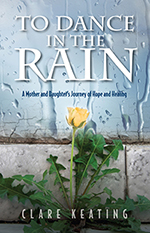 Increasingly, I am asked questions about the whats, whys and wherefores concerning the writing of To Dance in the Rain – A Mother and Daughter’s Journey of Hope and Healing. I’d like to share some of these questions with you now. Please feel free to submit your own questions or anything you would like me to address. 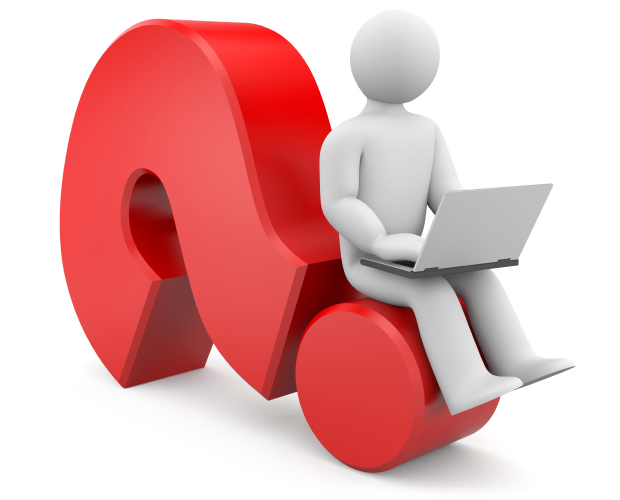 The following are some of the questions that individuals ask me fairly regularly. Why and when did you write To Dance in the Rain? Originally, I wrote down as many details of the situation as I could, just so we would be able to recall the chronology of the events that had unfolded. As I mulled through the particulars, it started to hit me just how amazing this sequence of events had been. As the months and years went by, Alicia’s heart-rendering and truly inspirational story and journey continued. I was so very proud of her for the courage she had as she faced every challenge. The idea of writing a book about Alicia’s story slowly felt like something that needed to be done. The writing of the book actually spanned a decade if you figure in writing down snippits and jotting thoughts here and there, but thinking through the details was very painful for a long time for me. It wasn’t until about 2012 that I noticed that it wasn’t as painful to recall the events of Alicia’s story. So the wheels started turning. One day I went for a ride, as I often do to clear out the extraneous, and I ended up at a scenic overlook on the Taconic Parkway. As I sat there soaking up the beauty of nature around me, I reached for a pad of paper and wrote the first chapter of To Dance in the Rain. Surprisingly what I wrote was almost verbatim to what you read in the book. A few months later on New Years Eve 2013 I decided that I would write Alicia’s story by the end of the year. It was complete, minus a little editing and book writing logistics, (covers, designing, printing, etc) by mid June. When all was said and done, To Dance in the Rain – A Mother and Daughter’s Journey of Hope and Healing emerged at the end of the laborious process of decision making as we picked through at least 30-40 combinations and possibilities. (that list alone would be entertaining to most of you) So, let’s just say that many hours were spent deciding on the present title. I wanted to convey the overall train of thought that brought us through such a challenging time, and believe that our acceptance and positive attitude truly helped in bringing about the story’s eventual outcome. I have always found perspective in quotes, sayings, poems, etc. so I rummaged through the myriad of cerebrally stored wisdom. I have always liked Vivian Greene’s quote, ” Life isn’t about waiting for the storm to pass, it’s about learning to dance in the rain.” The more I thought about it, the more I was convinced that this quote described our way of dealing with the situation at hand, to a tee. I also like phrases verses complete ideas and really like starting them with prepositions…so there you have it. Did you self publish and why? I did, in fact, self-publish To Dance in the Rain and found the process to be quite enjoyable and satisfying. I personally find so much enjoyment in completing projects of all sorts and this was no exception. I did explore the pros and cons of traditional as well as self publishing and found that I learned volumes about the ins and outs of the publishing operation. This included finding an editor, interior and cover designer, proofreader, line editor and printer as well as making decisions regarding all aspects of the process from the writing through to having the finished work in hand. It was all very exciting to me! Was it hard emotionally to write the book? No and yes. I had a very hard time thinking through the details of Alicia’s brain injury and the events as they unfolded, for many years. The recounting of them brought with it the full emotion experienced at the time, so I successfully avoided dealing with it month after month, year after year. It wasn’t until after having dealt with several other very tough family situations (Bryan being deployed to Afghanistan twice as a US Marine, etc.) that I gained the strength to express what was going on inside. The old saying, “what doesn’t kill you (or drive you crazy) will make you stronger” is true. So by the time I started writing Alicia’s story, it was not as difficult as I thought it would be. It was/is much more difficult for me to read what I have written, than it was to write it. Any of you who have read the book probably know what I am talking about. Did you find that writing To Dance in the Rain was a catharsis of sorts for you? This is by the way the question most asked by those wondering about the writing of To Dance in the Rain. I can honestly say though, that I did not find the writing of the book to be cathartic really. I actually had arrived at a point where all the strong feelings had been dealt with, before I could even start the writing of the book. I do think though that recounting the particulars of our journey did allow me to acknowledge all that had happened. We had been on auto-pilot for much of the first few years of the story, and had almost breezed over many of the little details that were actually so important to the outcome of Alicia’s journey. As I wrote I found wisdom, I found perspective and I found a contentedness inside that could only come from acceptance, once again. Two are books; the third is the development of an elaborate website. There are four of us working on the website project. What would you say to any aspiring author? At several of the speaking events, individuals have approached me to chat about how they are seriously thinking about writing a book or have even begun to write one. Most have talked about their book ideas and said, “What do you think…should I do it?” Absolutely, is my first thought. I think that you have been serious enough to formulate the idea and have an outline of how you want to present your idea, you have plenty of reason to continue on and bring that dream to life. Only good things will enfold if you allow the part of you that longs to create, to blossom. If you decide not to continue all the way through to the completion of a book, you have still begun an exciting new expression of ideas that will most likely become your new passion. I always vote yes to exploring what brings your heart joy. Again, no and yes. As a sole source of enjoyment and income, no, but I wish I could! and yes…I do think about writing more hours than not, on any given day. I enjoy envisioning scenarios that come to mind, writing short stories to amuse myself, waking up at 4am, on occasion, looking for paper and mulling about my next books and projects. So yes, I guess you could say that my mind is in writing mode full time. Well before Gaylord I was in St. Mary’s hospital, in Waterbury. I was hospitalized for 108 days. My Paramedic career has been put on hold, for the time being, I went to Naugatuck Valley Community college for a few years, in order to get my medic license! I am married and we live in Warren, CT! Call me sometime and we can chat about our experiences!